Short, long, straight or curly – your hair and it’s fullness is an expression of your unique style and personality. But if you start losing your hair it can affect your confidence and self-esteem. 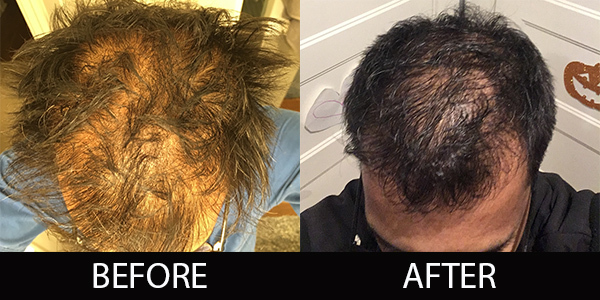 Over 56 million men and women in the United States suffer from thinning or baldness, but over 60% of medical hair loss and thinning hair can bemanaged, controlled or reversed without the need for surgical options. Hair re-growth in women has almost a 90% success rate and in men it is about 65%. 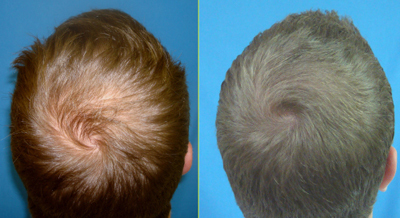 Involutional alopecia is a condition where the hair gradually thins with aging. More follicles go into the resting phase and the remaining hairs become shorter and fewer. There is androgenic alopecia or male pattern baldness which is a genetic condition. It can occur in both men and women and can start as early as ones teens. Alopecia areata is patchy hair loss in children and young adults. This often reverses itself. There are many other reasons for losing your hair, including medications, stress, hormones, and your environment. You can also be too aggressive with your hair by wearing tight ponytails, using hair extensions or brushing your hair too much. We, at True Radiance Medispa have several hair restoration solutions to encourage the health and growth of your hair, both men and women. We have several supplements, topical solutions and procedures that can help. Come in for a free evaluation to see what is right for you with affordable prices.